About: Aaron is entering Level IV of the Biomedical Discovery and Commercialization program and is working towards his thesis in the Brown Lab. 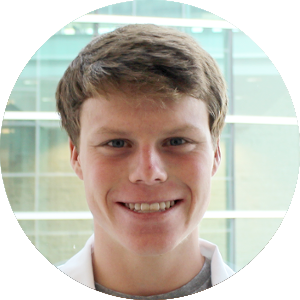 Outside of the lab, Aaron enjoys swimming, biking, and running in large circles. Research Interest: Aaron’s research is primarily focused on defining the common genetic requirements for Klebsiella pneumoniae survival in various mammalian blood serums. Elucidating these requirements will allow for more accurate modelling of bloodstream infections.